Bobby Smith, majority owner of the Halifax Mooseheads, wasn’t available to talk to reporters last week about government changes to labour laws exempting his QMJHL team from paying its teenaged hockey players minimum wage, or vacation pay, or limiting the hours they work. Before we swallow this syrupy, self-serving KoolAid, let’s ask a few questions. No teenaged athlete ever asked to be exempted from minimum wage. Certification hearings on that lawsuit are scheduled — surprise — this fall. Is the McNeil government lending its regulatory weight to a pre-emptive union-busting scheme targeting vulnerable teenagers who must leave their families and hometowns, even sometimes their countries, to chase their dreams? 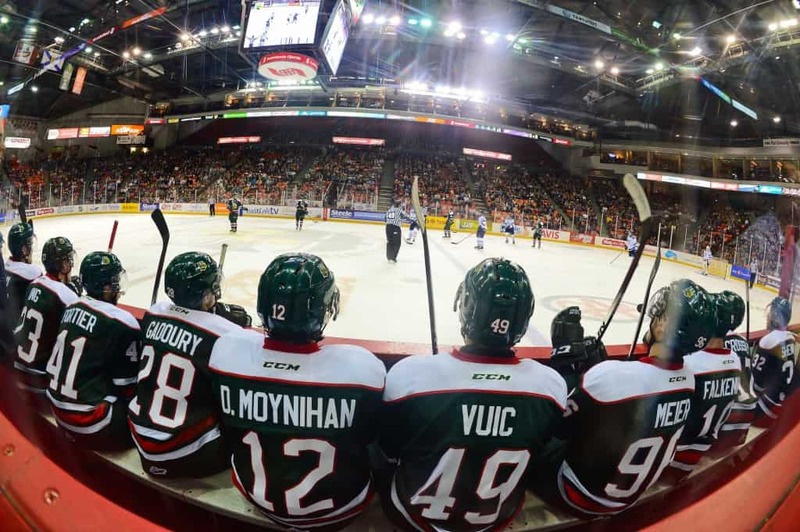 Can the Mooseheads really not afford to pay its athletes — and crowd magnets — even as well as McDonalds? Reality check. Last season, in the trough of a rebuilding year, the Mooseheads attracted close to 7,000 fans a game for 34 home games at an average of $15 a ticket. That’s more than $3 million after HST. And then there’s the team’s take from luxury skyboxes, concessions, jersey and souvenir sales, national TV revenue, money from World Junior Championships, etc. Officially, players get $60 a week for what is inevitably a more-than-40-hour week, not including the time they must spend on their schooling. Those from out of town do get billeted with local families, who get paid to feed and house them. Teams supply scholastic support. And players are eligible for post-career scholarships, depending on years played, but restrictions on those who choose to follow their NHL dreams into the minor pros, even briefly, often make them ineligible to collect. The government hasn’t struck a balance. It’s struck a blow for child exploitation. I’m not going to argue that the Halifax Mooseheads organization cannot afford to pay their players, because they probably could. However, your article assumes the Mooseheads live in a bubble, and also ignores important factors I’ll expand upon later. After Quebec and Halifax, there is a very significant drop off in attendance across the QMJHL. In fact, 13 of the bottom 15 attendance numbers in the entire 60-team CHL are from QMJHL franchises. Most teams barely break 2,000 per game, some don’t even manage that. Now these teams aren’t publicly traded, so I don’t have access to the exact financials, however, after paying for the lease on the arena, staff salaries, equipment (especially sticks), room and board, travel, Scholarships and other perks, it seems most of these teams are not profitable. Most of these teams struggle to stay in the black. This is a developmental league, in every other level of minor hockey up until junior, families shell out thousands of dollars per year for the privilege to be able to play hockey at a high level. Talk to the parent of a Bantam or Midget player and ask them if it was cheap to enroll their son in that program. With Major Junior, these players have their expenses paid for, sure, they only make $60 per week, but what are their expenses? They live and eat for free, they don’t pay for their equipment or travel or schooling or anything. The problem with paying players a minimum wage is that if one team does it, every team would have to. Perhaps 4-6 teams could afford to do this, but then what becomes of the QMJHL? Do we fold 12-14 of 18 franchises? Not much of a developmental league then is it? Kimber make a pretty strong accusation that “it’s struck a blow for child exploitation”. But I think what he’s arguing for would destroy the league, and with it the dreams of the young men who play in it.